This month, we published an article titled “Grid Neutrality” as the cover story in Public Utilities Fortnightly magazine. The following is an abridged version of that piece. The electricity sector faces the most dramatic transformation in its history. The entire system, from infrastructure to regulation, was designed to support predictable, unidirectional power flows from centralized generators through transmission and distribution systems to passive customers. But the emergence of distributed energy resources (DERs), combined with increased availability of granular data and communications, presents an unparalleled opportunity to enhance and in some cases reinvent one of the most important systems in our society. This potential for transformation carries enormous promise. Tomorrow’s grid will be a platform interconnecting millions of devices -- power plants, DERs, consumers, aggregators and more -- to the ultimate benefit of all electricity consumers. Achieving this will be no small task. In order to match the promise of the next-generation grid, we will need updated infrastructure, regulation, business models, technologies and markets. 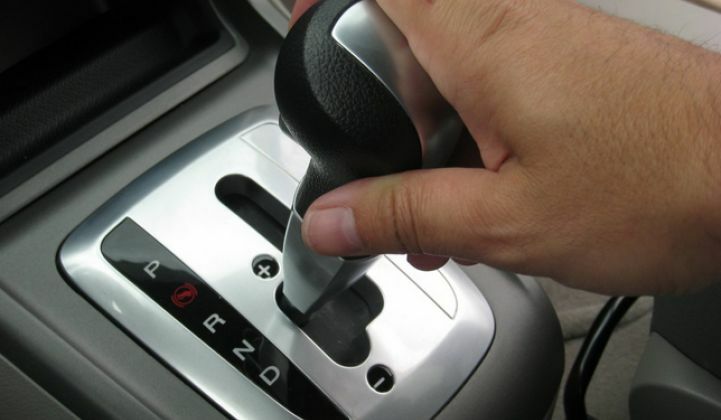 And all these changes must occur without sacrificing the reliability and affordability that is available to customers today. To date, most attempts to proceed with this transformation have been piecemeal responses to short-term trends, such as the growth of behind-the-meter electricity generation. Or they have been hasty efforts to upgrade technology without strategic plans for effective utilization. This has been the source of widespread disappointment with the 50 million smart meters already deployed in the U.S. While a few jurisdictions have adopted a broader approach, the need remains for a set of guiding principles that can apply to all discussions that will emerge over the coming years. In this paper, we offer a set of foundational principles that can scale with the evolving grid and inform policy and business decisions about its design and operations. 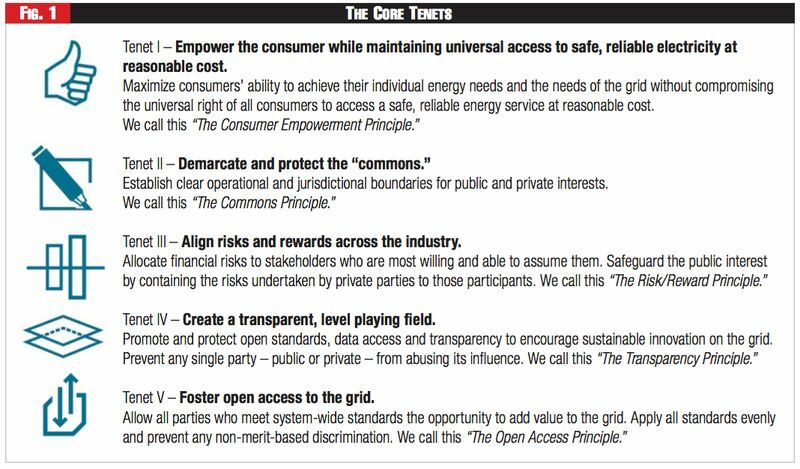 These principles of “grid neutrality” relate to the more familiar recent discussions regarding net neutrality. Just as net neutrality seeks to maintain a fair and open internet, the concept of grid neutrality emphasizes a fair and open electricity network. Like the internet, the modern electricity grid is the backbone upon which a generation of technologies, services and economies will be built. In order to catalyze this transition and foster innovation, it is paramount that we as a nation provide for, as well as safeguard, the grid’s neutrality. Historically, the power industry has had little or no need to ensure the neutrality of the grid, especially the distribution grid. The industry developed in an era when the public agenda was primarily focused on electrification; constructing centrally located infrastructure was indisputably the most cost-effective means to achieve this end. In order to take advantage of the enormous economies of scale associated with this grid architecture, governments granted exclusive franchises to monopoly providers, which in turn delivered a mostly uniform product to captive ratepayers with largely homogenous patterns of electricity usage. However, this one-size-fits-all model is no longer a viable option for the 21st century, for three reasons. First, needs have changed. The focus is no longer on building more infrastructure to achieve universal access, but rather on optimizing what has already been built. Providing safe, reliable and affordable electricity is no longer enough; the public also demands cleaner energy, more resiliency and greater customization and control. Second, technology has changed. DERs, including distributed generation, energy storage, efficiency upgrades and electric vehicles, can increasingly meet evolving needs more effectively than can centralized generation systems. Because of their smaller scale and modularity, DERs can deliver more targeted and faster-responding solutions -- sometimes at lower cost. Finally, the customer has changed. New needs and new technologies have resulted in increasingly sophisticated electricity customers. Many have distinct energy-usage profiles, ever-changing end-use devices and even generating capabilities. Consumers are no longer mere takers from the grid; they are becoming “prosumers,” supplying the grid with energy, capacity and ancillary services. “The Internet wouldn’t have emerged as it did…if the FCC hadn’t mandated open access for network equipment in the late 1960s,” writes Tom Wheeler, the current chairman of the FCC. Today’s electricity regulators face an array of similarly thorny challenges. The regulatory model must contend with the diverse and often conflicting interests of wholesale power producers, T&D asset owners, DER providers and countless other parties across the energy value chain, and reconcile those with the needs of the grid and of millions of customers – all of which can vary by time and by location. How will regulation align, in real time, the private interests of suppliers, consumers and prosumers with the public interest? How will it help guide decisions about deploying and dispatching supply-side resources versus demand-side resources? Who will get to deploy, own and operate these resources, and how will they be paid? How will regulators make decisions in a fair and transparent manner that doesn’t confuse public and private interests? Escalating debates around red-herring issues like utility death spirals and grid defection reveal the limitations of prevailing regulatory models to effectively address these questions. We need a set of guiding principles that can scale with evolving customer needs and provide objective benchmarks to evaluate future regulatory and grid design options. Grid neutrality is a set of principles that define and safeguard a network’s underlying communal infrastructure, “the commons.” Interactive networks, by definition, comprise independent actors; these actors cannot interact autonomously unless the platform upon which they operate is as neutral as possible. By defending the neutrality of the grid’s network, grid neutrality provides a foundation by which to benchmark all current and future developments pertaining to the grid. The tenets of grid neutrality are a proactive, rather than reactive, set of principles via which to approach challenges in an increasingly dynamic and critical energy landscape. Grid neutrality is consistent with the Bonbright Principles, which have long guided utility ratemaking, and does not diminish any energy services currently offered to consumers. Its central mandate is identical to that of the current grid: providing universal access to a safe, reliable energy service at reasonable cost. However, instead of achieving this by simply safeguarding the grid’s physical infrastructure, grid neutrality ensures universal access to electricity by also safeguarding the neutrality of the grid’s infrastructure. Grid neutrality frees the power industry to pursue actions that may or may not be tied to its legacy infrastructure assets. Grid neutrality’s first tenet introduces a dual mandate for the grid, highlighting consumer empowerment as a fundamental element of being able to maintain universal access to electricity in a dynamic network. The second and third tenets protect the “commons” as a neutral, vital resource. The fourth and fifth tenets expand upon neutrality by fostering the neutral conditions necessary for a dynamic network to thrive. The goal is not to dictate particular designs or operation of the grid, but rather to future-proof the grid with the flexibility, resilience and scalability to meet future needs. Neutrality is a fundamental, indisputable property of the network that underpins the electricity grid. As such, the tenets of grid neutrality provide a powerful means to cut through political, technological and interest-driven grid design discussions by evaluating them against immutable principles for the future electricity grid. Neutrality is the cornerstone of the modern smart grid for another simple but fundamental reason: tomorrow’s dynamic, intelligent grid is no longer simply a conduit for electrons but a neutral, networked platform -- an energy network. Every node within an energy network is both a source and a sink. Hyper-efficient, resilient and dynamic, an energy network leverages the combined capabilities of billions of nodes -- consumers, devices, DERs, power plants, storage, literally anything that is plugged in -- to enable universal access to electricity. Ideally, this energy network should be able to auto-island, self-heal and scalably coordinate an ever-changing number of nodes. Eventually, it may even be able to autonomously decide between supporting an AC load spike by calling on either the EVs parked nearby or a peaker plant. Today, over $600 billion worth of controllable devices -- laptops, coffeepots, electric cars, building HVAC systems -- is plugged into the grid at any time. By 2020, this number will have grown to $1.7 trillion. “The grid increasingly is becoming a multi-directional network interconnecting millions of consuming devices, flexible distributed energy resources including DG, and backup generation,” writes the Edison Electric Institute. The electricity grid is poised to surpass the internet as the largest connected platform in the nation -- it is time the power industry operates the grid as the neutral, networked platform it should be. Grid neutrality is a set of principles that serve to guide discussions as the grid undergoes the greatest transformation in its history. Unlike the political, business and technological interests influencing grid-design debates today, grid neutrality is based upon an inherent structural property of the grid itself -- namely, that electricity grids are not mere conduits but rather are some of the largest, most dynamic networks in the world. If net neutrality is the cornerstone of today’s open, dynamic internet, grid neutrality is the core enabler of a truly intelligent, scalable and efficient grid. We urge stakeholders to streamline decision-making in ongoing and future grid-design debates by benchmarking against the tenets of grid neutrality.